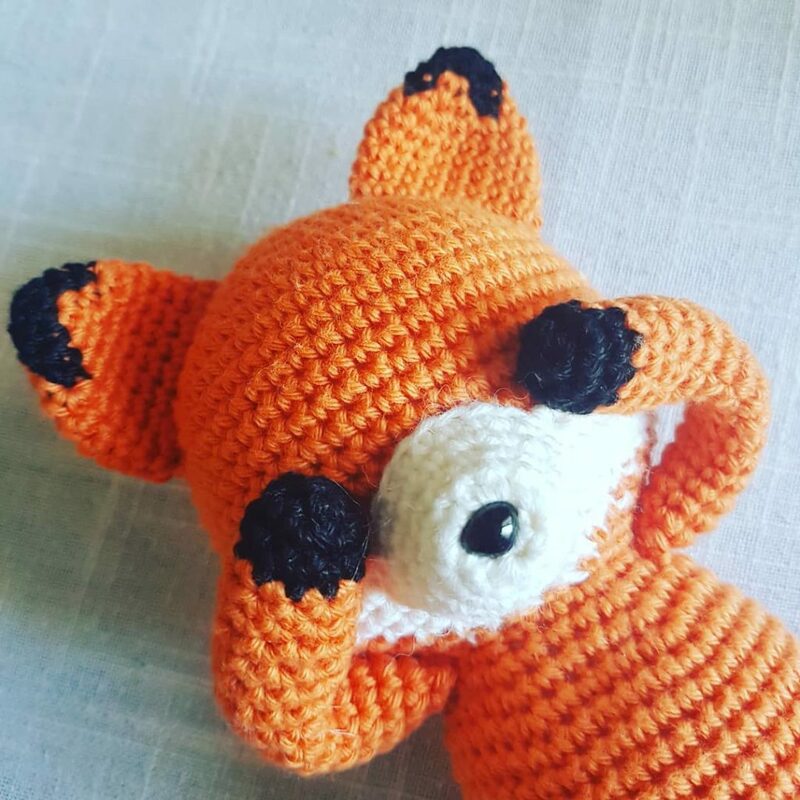 After months of work, hundreds of magic rings and thousands of single crochet stitches… I’m so pleased to share with all of you my first little amigurumi collection, based on the theme of forest animals. I already have so many ideas to complete this awesome crew but hey… days are only 24 hours long ! 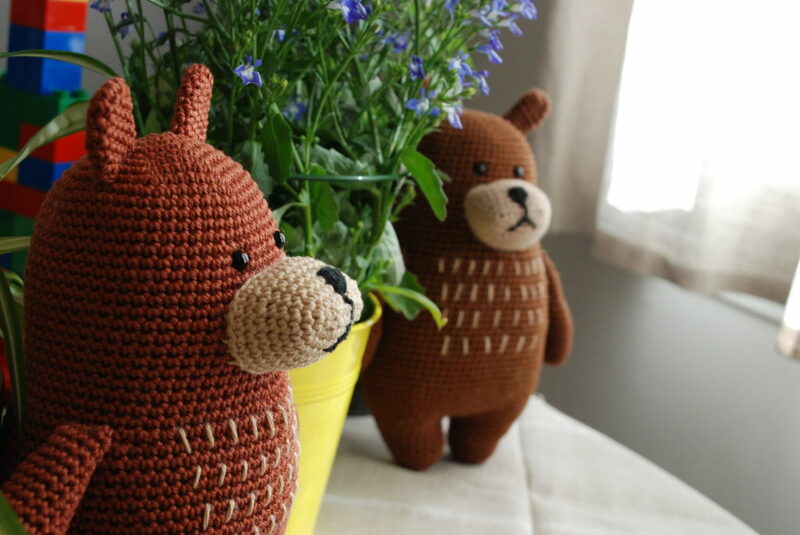 And I couldn’t resist to publish the patterns of these 3 littles guys… ! 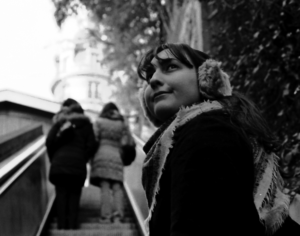 I really hope you’ll enjoy this bunch and without further ado… here they are ! 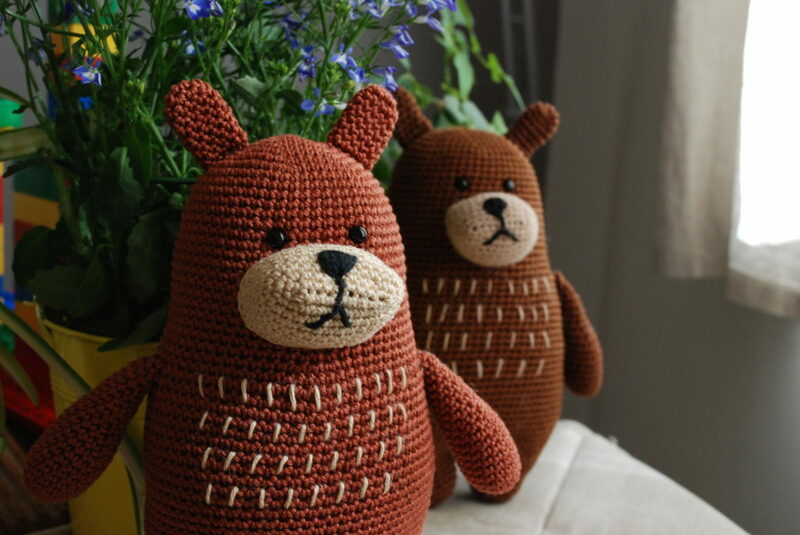 First, meet Blaise, the big brown bear. 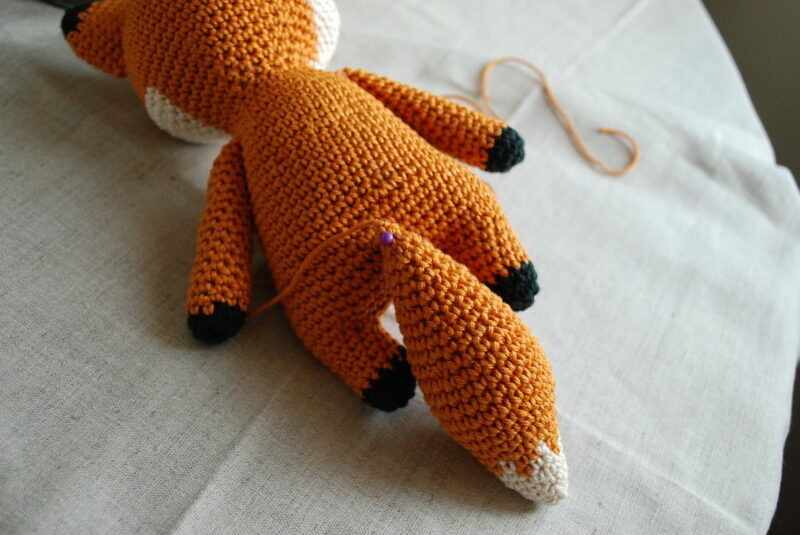 Then take a look at Fergus, the fiery fox ! 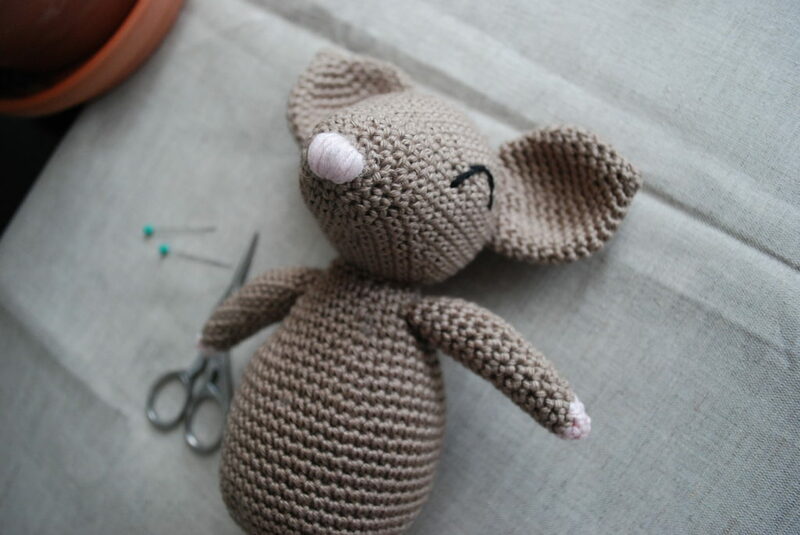 And last but not least, Mariette the mischievous mouse. 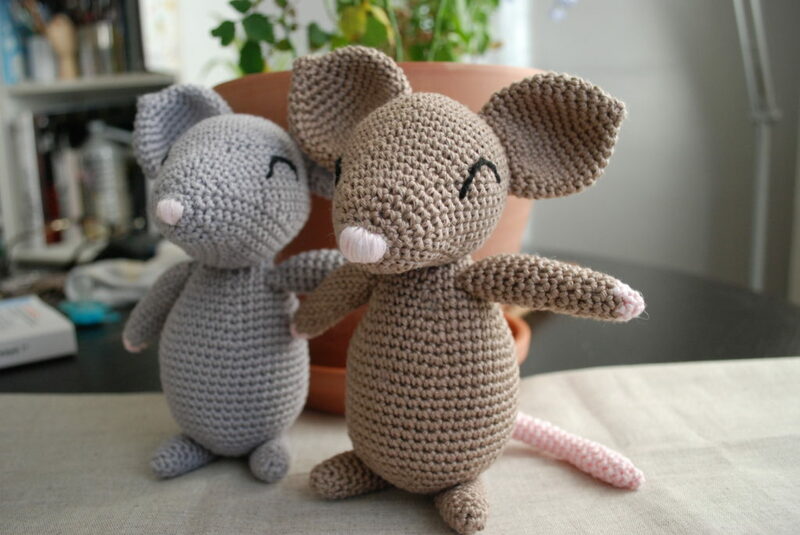 You can find their patterns on my Etsy shop, or if you prefer via Ravelry. 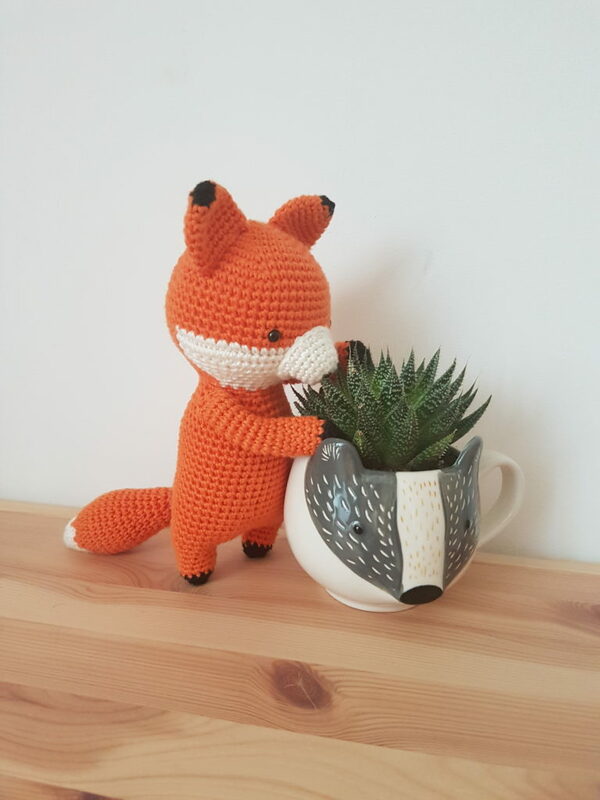 To celebrate their release, I’ll be back here in a few days to share with you guys a little serie of free patterns (yup that’s how generous I am), which will perfectly complete my little forest animals team.